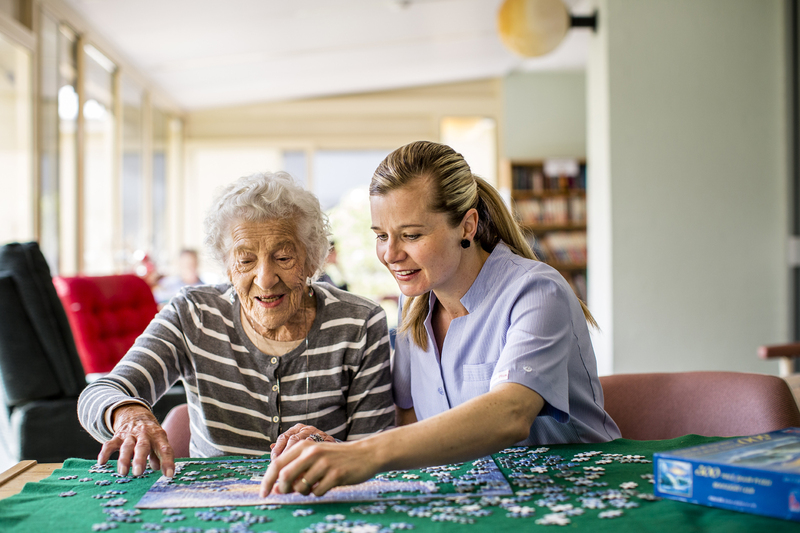 Our Aged Care Services provide affordable aged care support for older Australians. Our goal is to ensure you or your loved one are healthy, comfortable and, above all, loved. We respect your individuality and the rich life you lead, so our care is centred on your needs and preferences. What aged care services are available? We offer a range of services so that you can find the right support for this season of your life. There are a number of ways in which we can provide care for you or a loved one depending on your needs and individual preferences. If you are unsure what type of care best meets your needs, email us to speak to our Aged Care Services team. Our residential care offers long-term accommodation that includes support for those who need ongoing health and nursing assistance. Our centres can support short-term respite care, secure dementia care and other specialised care for people with mental illness or challenging behaviours. Retirement is an exciting time when you’ll have more time available to live life on your terms. We offer a range of villas for those seeking to downsize from the traditional family home to an easy to maintain apartment. A range of locations close to shops, transport and services allow for greater independence and fully maintained gardens and facilities and quality care mean you can relax with peace of mind. Taking care of an elderly loved one can be physically and emotionally demanding. Short term respite support can help lighten the load for both the carer and the person being cared for. Respite support is available at all our centres. Dementia Care Matters specialises in transformative dementia support and culture change, providing consultancy, nationally recognised training, service development and practice based research to improve dementia support worldwide.